SunTrust Bank selected Striata’s PUSH email statement solution to provide its customers with another digital channel to go paperless. 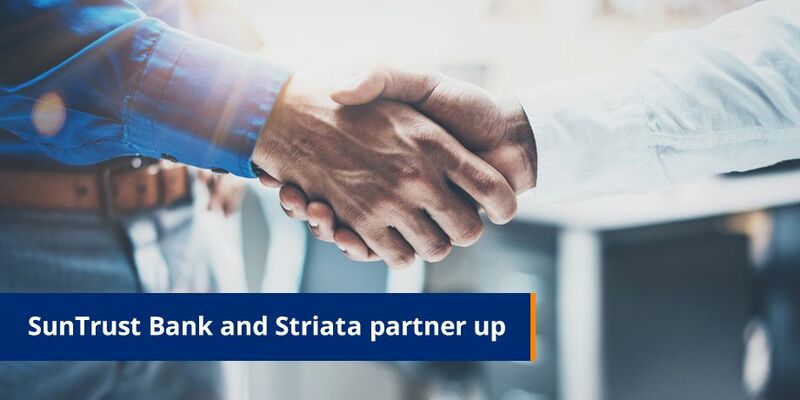 While Striata already assists many global banks that benefit from email document delivery, SunTrust is the first major US bank to adopt this solution at an enterprise level. SunTrust customers can now receive their statements electronically; delivered securely and directly to their email inboxes. “Striata has successfully met the stringent security, legal, and strategy requirements set by SunTrust. We are now looking forward to providing SunTrust’s customers with a convenient solution that’s simple to use and easily accessed,” says Mia Papanicolaou, COO, Striata, Americas. Striata’s eStatement Solution does not require customers to proactively enroll and remember usernames and passwords. Customers can turn off paper through an effective one click process from an eConsent email and enjoy the convenience of secure electronic documents delivered via email. Papanicolaou says that because convenience drives paperless adoption, Striata’s solution will help SunTrust to reach its paper turn-off targets. Furthermore, the emails and PDFs have content that effectively drives qualified customer traffic to the SunTrust online portal, complementing its existing online service initiatives. “We are delighted to be appointed as the email document delivery vendor of choice for SunTrust Bank and we’re looking forward to working with the bank to meet its paperless adoption goals over the coming years,” concludes Papanicolaou.